Sketchbook_Helsinki_2009_029, originally uploaded by Brin d’Acier. 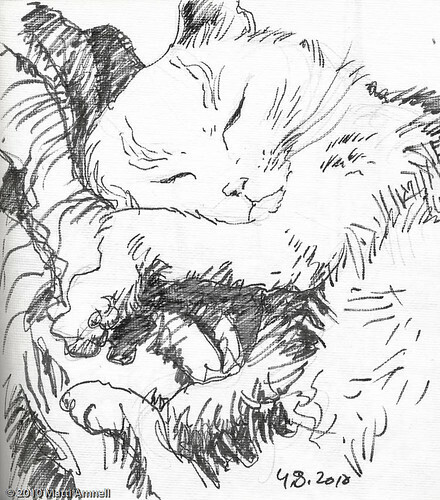 Our cat Nestor Burma (named after a detective created by Léo Malet. Il met le mystère K.O. )does not like to be photographed or sketched. Either he fakes a sudden urge to go explore the other room or just looks annoyed. In this drawing he lacks detail, as he left almost immediately. Here he is, looking annoyed and moving around. 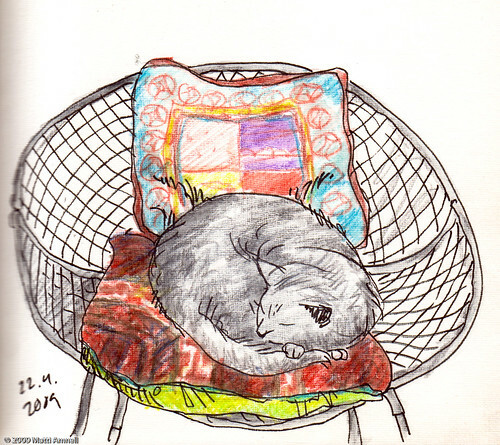 You have to catch him in a deep sleep to finish a sketch. 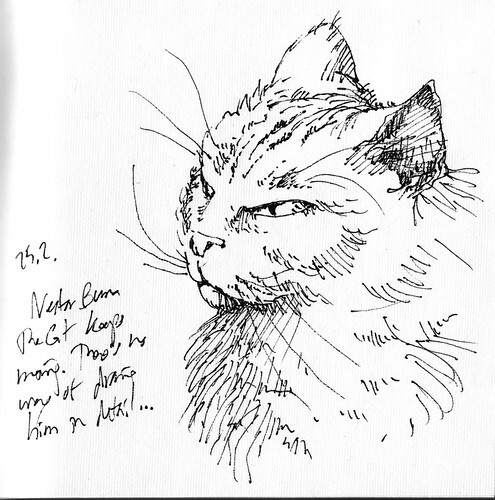 This entry was posted in Sketchbook and tagged cats, finland, helsinki, ink, portrait. Bookmark the permalink.